- When is a ball considered lost? - Can you stand out of bounds when making a stroke? - How do you deal with a ball that lands close to a dangerous situation, like a rattlesnake or a beehive? If you still have questions on a particular situation, e-mail the USGA directly from the application to receive expert advice. Whether it’s about casual water, loose impediments or line of play, no question is out of bounds. 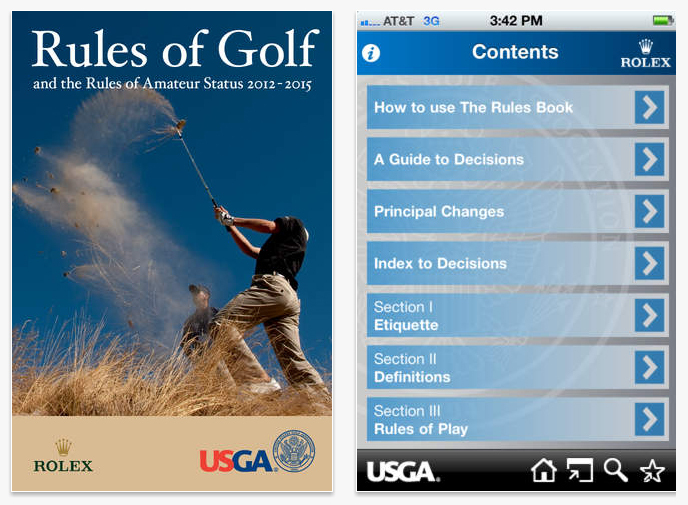 - E-mail Rules questions to USGA experts or Rules to friends.